The traditional approach in detecting sets of concurrent and/or parallel lines is to first detect lines in the image and then find such groups of them which meet the concurrence condition. The Hough Transform can be used for detecting the lines and variants of HT such as the Cascaded Hough Transform can be used to detect the vanishing points. However, these approaches disregard much of the information actually accumulated to the Hough space. This article proposes using the Hough space as a 2D signal instead of just detecting the local maxima and processing them. 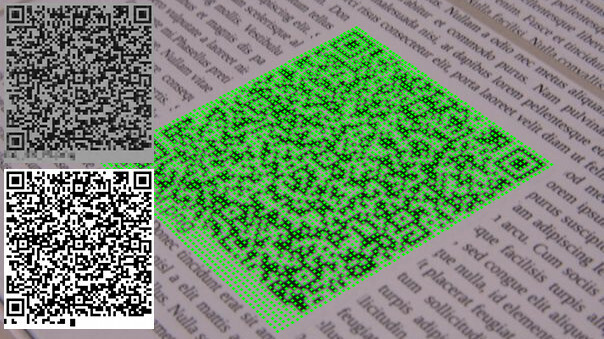 On the example of QRcode detection, it is shown that this approach is computationally cheap, robust, and accurate. 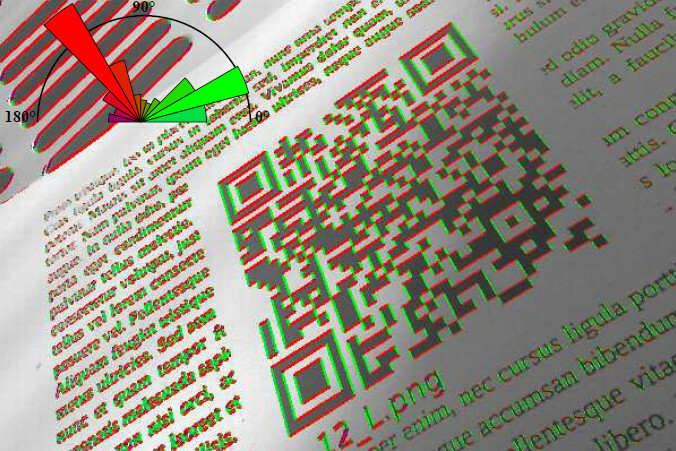 The proposed algorithm can be used for efficient and accurate detection and localization of matrix codes (QRcode, Aztec, DataMatrix, etc.) and chessboard-like calibration patterns. Each dataset includes file anotation.csv. 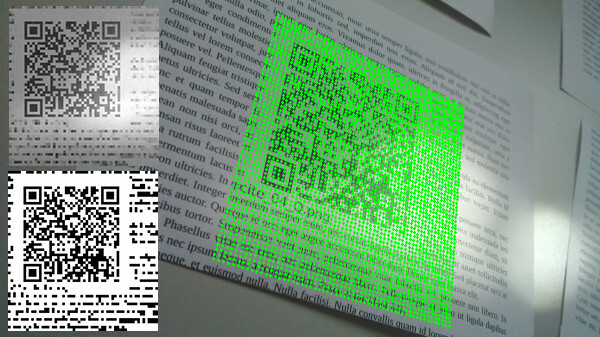 In this file information (ID of encoding text, size of QRcode, rotation of image, blur, perspective, light conditions and code area in image) about each image is stored. For details please see attached README.txt file. The encoding quotes and IDs are in attached file [quote.csv]. 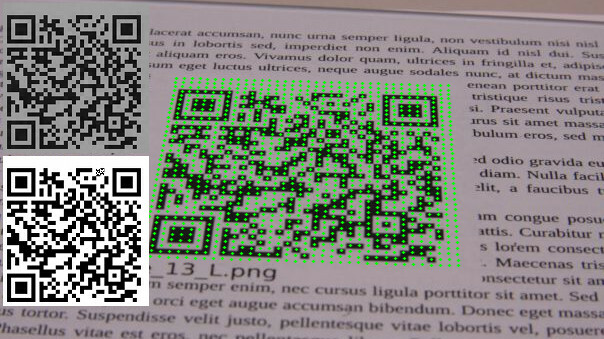 Corresponding QRcode bitmaps are in [bitmaps.zip]. 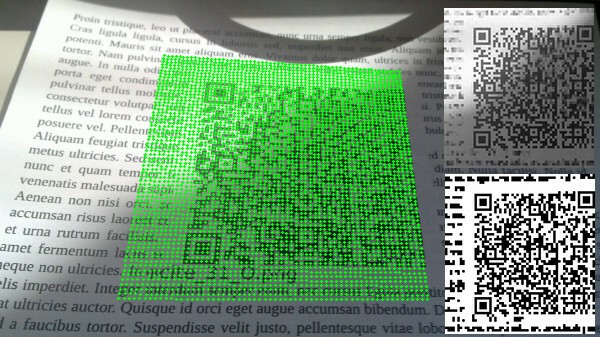 Video dataset contains videos captured by a camera (1920×1080, 50 fps, ~60s). Videos of PCline based detector: [results.zip]. This research was supported by the CEZMSMT project IT4I-CZ 1.05/1.1.00/02.0070, by the TACR grant V3C TE01010415 and by MV CR grant VG20102015006.